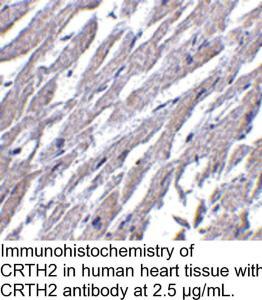 CRTH2 Antibody: The chemoattractant receptor-homologous molecule expressed on Th2 cells (CRTH2) is a recently identified receptor for the prostaglandin D2 (PGD2) in addition to the classic prostaglandin D receptor. 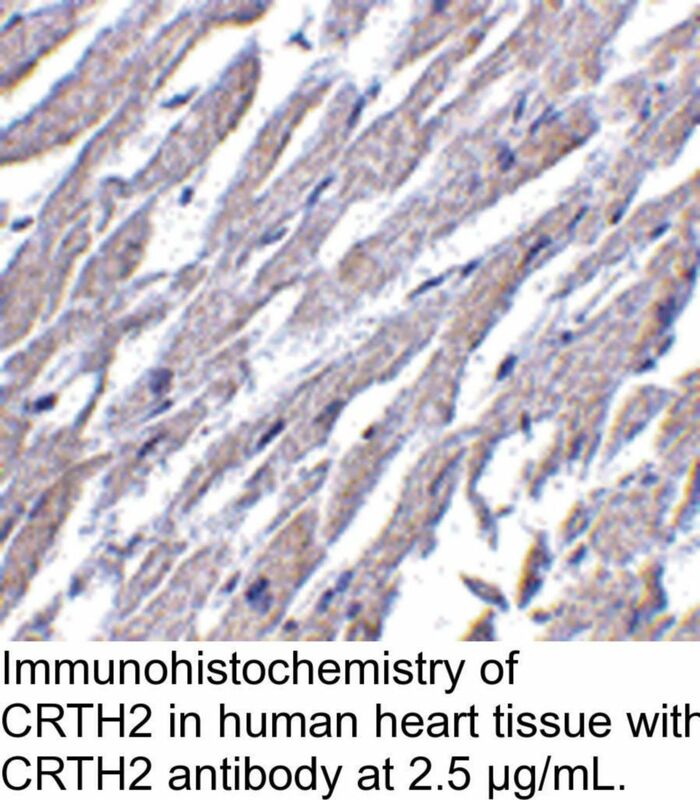 CRTH2 is expressed on Th2 cells and eosinophils and mediates chemotaxis of these cells to PGD2 and is thus thought to be a key receptor mediating eosinophil and Th2 recruitment during allergic responses. 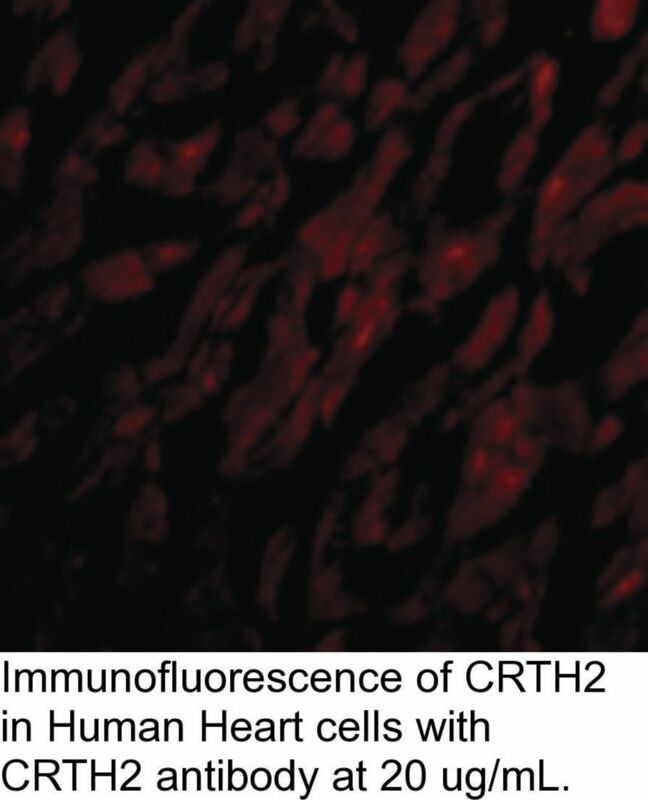 However, CRTH2-null mice showed enhanced eosinophil recruitment into the lung consistent with observations that the CRTH2-null mice produced significantly higher amounts of interleukin-5 (IL-5) and IL-3. This suggests that CRTH2 plays a nonredundant role in restricting eosinophilia and allergic response in vivo. 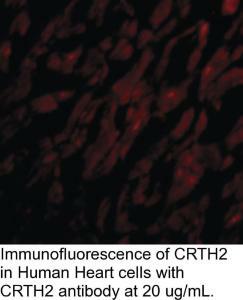 At least two different isoforms of CRTH2 are known to exist.